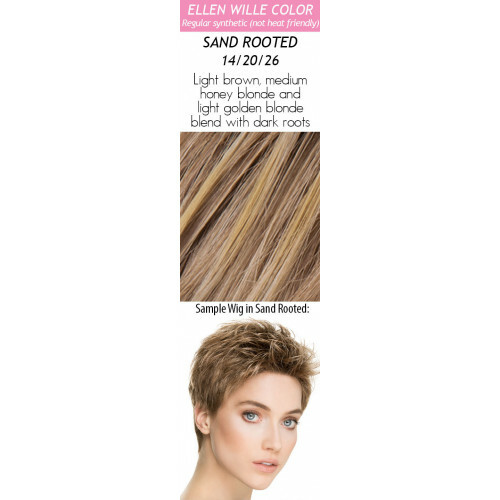 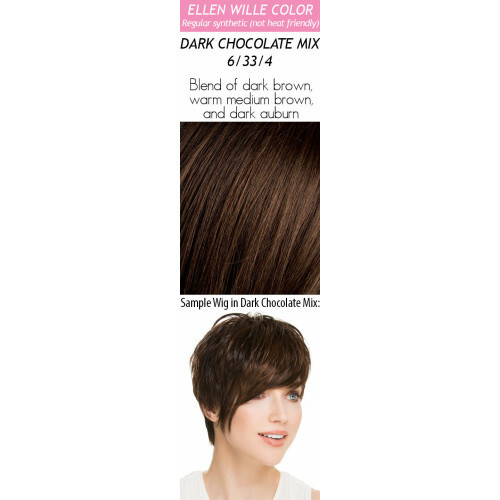 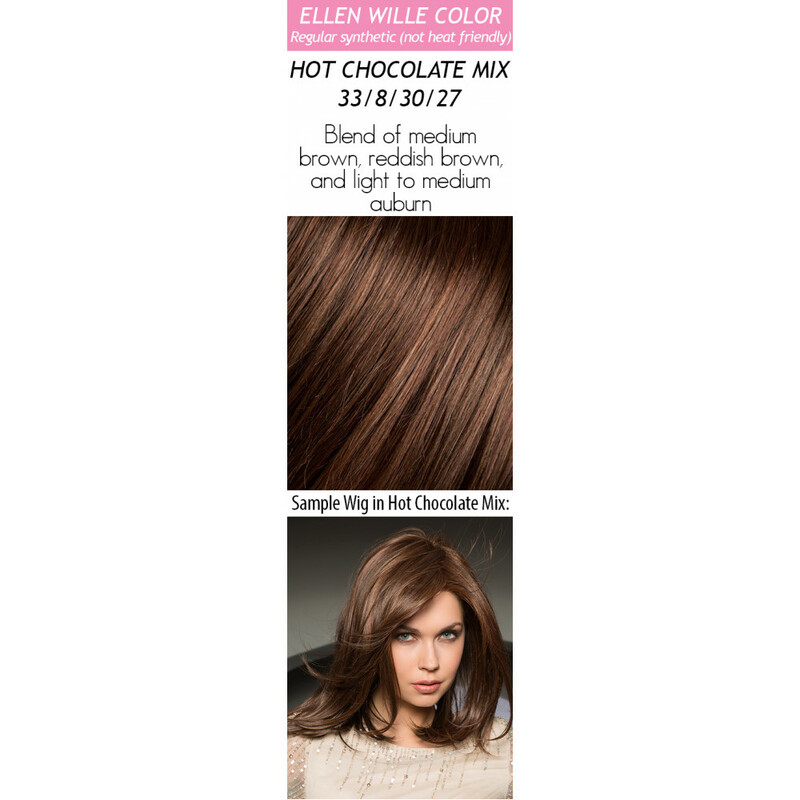 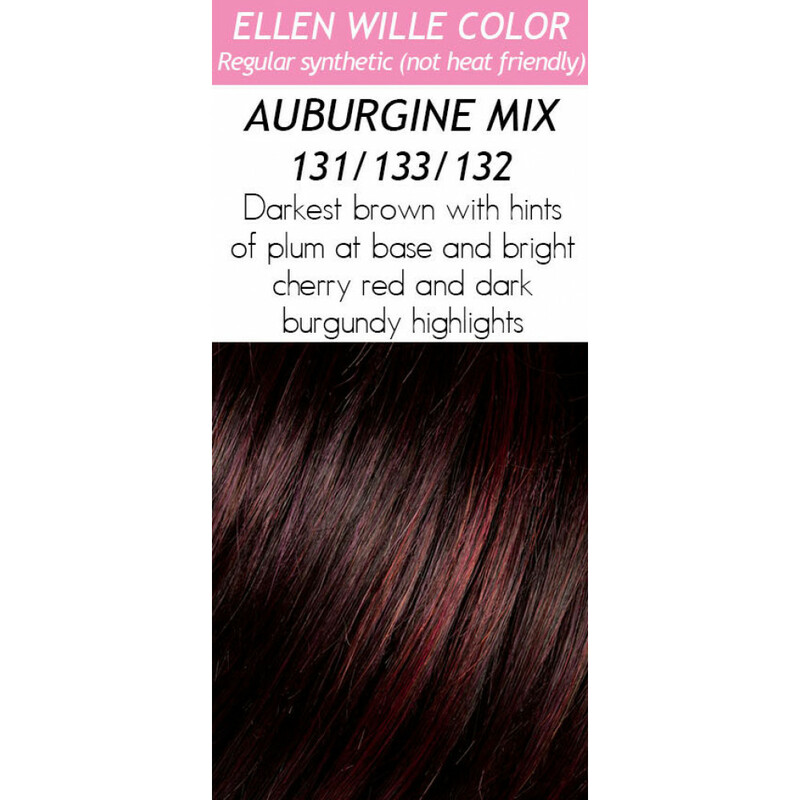 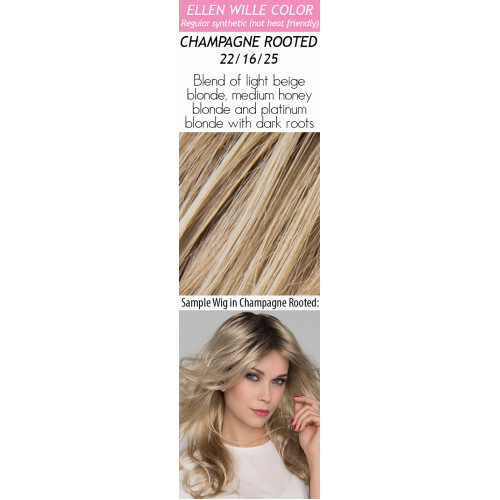 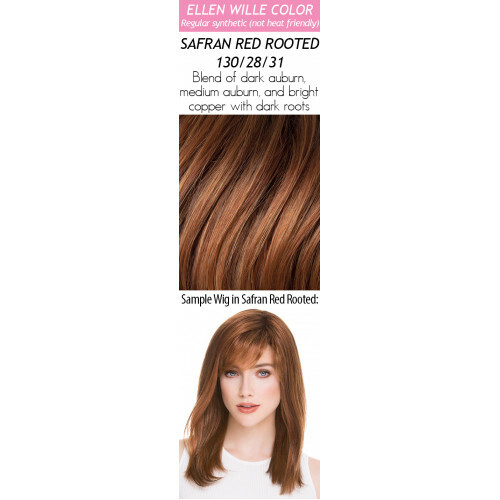 Change by Ellen Wille is a short, trendy, and softly angled cut wig. 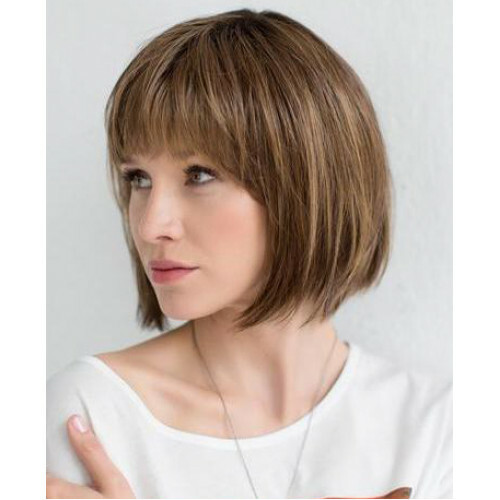 The hair and bangs are cut to create the classic bob hairstyle. The layers extend below the chin and have fullness at the root to add volume with movement. 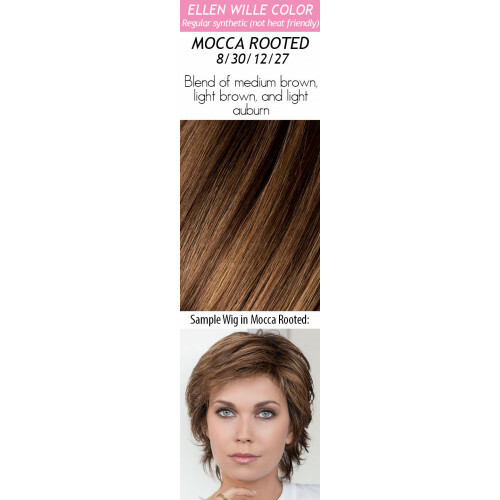 The monofilament crown is located behind the bang and gives a scalp-like appearance. If needed, the wispy bang can be trimmed to fit your face shape. 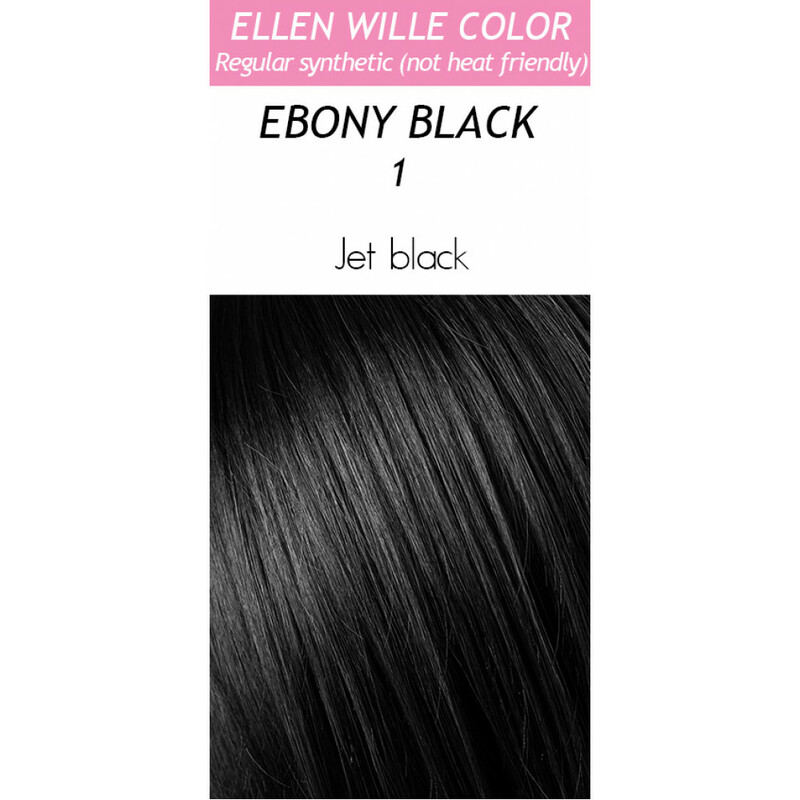 Change is a part of the Ellen Wille Perucci collection. 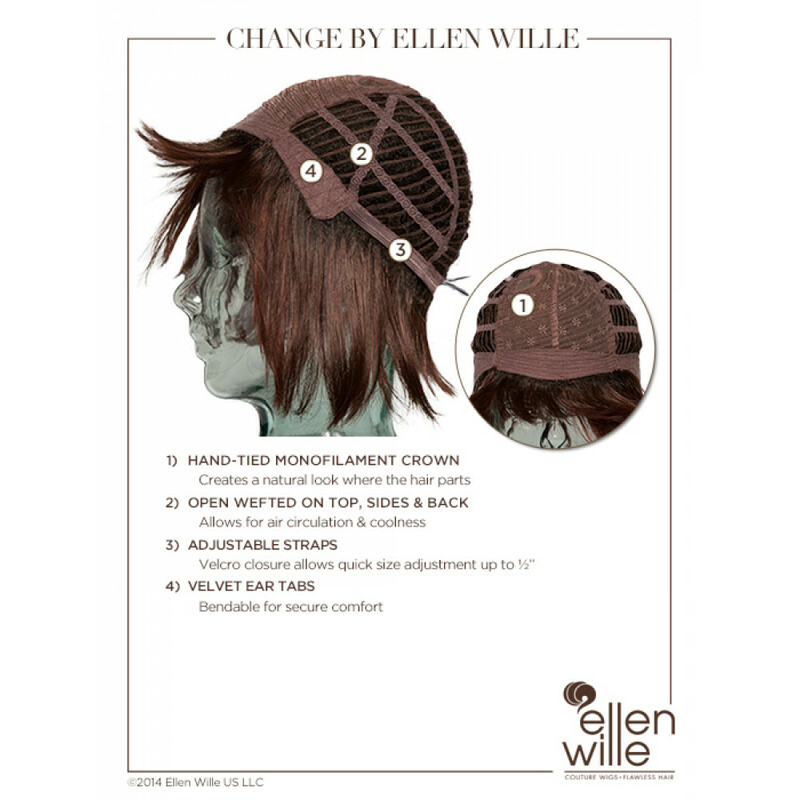 The cap is designed with openings throughout the back to allow the air to come through and keep it comfortable all day. 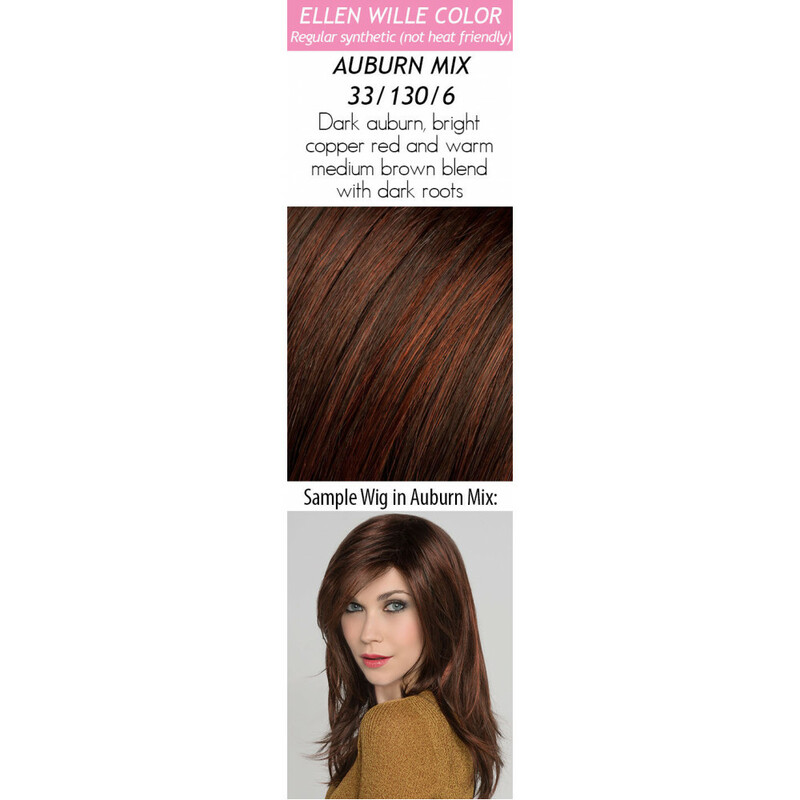 The synthetic hair is pre-styled with super straight locks and is ready-to-wear out of the box. 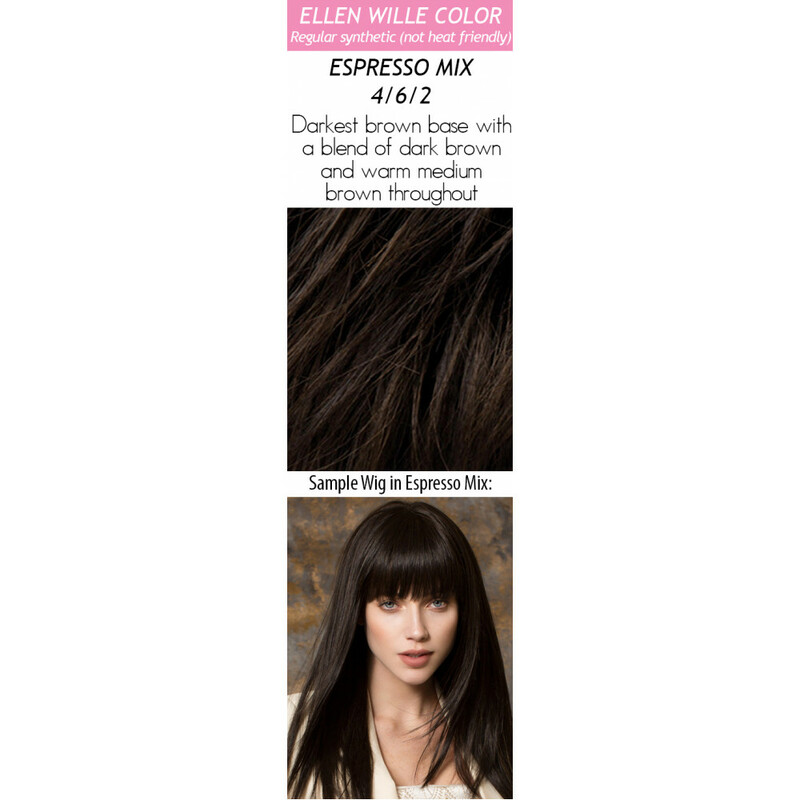 From Ellen Wille's Perucci collection. 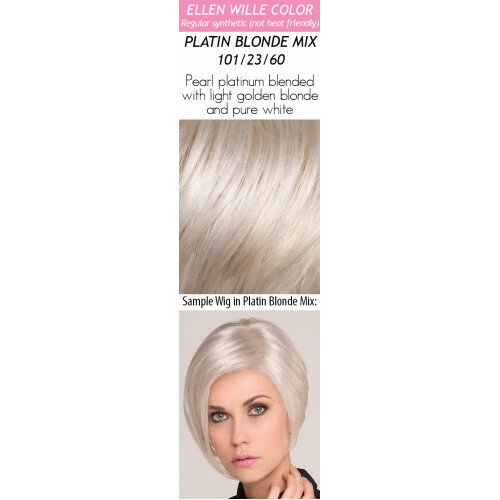 Hair Lengths: Front: 2.5" | Crown: 8" | Sides: 5" | Nape: 2.25"